Want to know what homeschool teens say about Great Christian Writers Course? Homeschool high schoolers need to have literature for their Language Arts credits on their transcripts. However, there is not a rule for what kinds of literature to cover. It is a matter of preference: You and your teens get to decide! 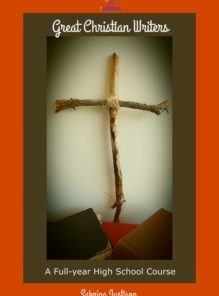 7SistersHomeschool.com shares our teens’ favorite literature study guides in Great Christian Writers. These no-busywork, adaptable study guides were collected to inspire your homeschool highschoolers to become deeper thinkers and developers of good character- AND to enjoy it! Here is what a few of our local homeschoolers say about their Great Christian Writers literature experience. KS and JW agreed that their favorite book was The Hiding Place. MO was influenced to be a thinking Christian by the life of Chuck Colson in Born Again. ST, JM and several others put in a big vote for God’s Smuggler as the book that inspired them the most. Here’s a review of God’s Smuggler by homeschooler Seth. A number of other local homeschoolers noted that they were really inspired by books, such as C.S. Lewis’ Mere Christianity and Frank Peretti’s This Present Darkness, that are included in the honors-level reading list that is included in the Great Christian Writers text. Each guide contains background information, vocabulary, questions that develop comprehension and inferential thinking in a NO-busywork, don’t-kill-the-book format. 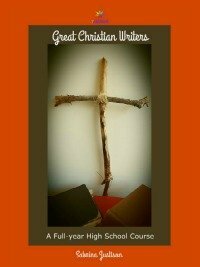 Want a Great Christian Writers course for your homeschool high schoolers?